An estimated one in two people now take a multivitamin and mineral supplement, but how to do you select which multivitamin is right for you? Health food shops, pharmacies and supermarkets offer a large selection of multivitamin tablets and capsules aimed at different age groups and budgets. As a medical nutritionist who has prescribed and taken multivitamins for over twenty years, I have firm opinions on how to select the best products, based on published evidence and my own clinical experience. Here are my best tips on how to select the ideal multivitamin for you. Quick summary: These are the multivitamin supplements I recommend from Healthspan, Amazon.co.uk and Amazon.com. The official government line is that we can get all the vitamins and minerals we need from our food, with the exception of vitamin D during autumn and winter, and folic acid during early pregnancy. While diet should always come first, national surveys consistently show that few people get all the nutrients they need from their food. Even when average intakes appear fine, an average is only an average and some are getting more while others are getting less than the recommended amounts. I’ve analysed many people’s diets and have not yet found anyone who obtains all the vitamins and minerals they need from their food alone. One person who was confident of success did have an impressive intake of vitamin C but was low on magnesium, selenium and vitamin E.
• over the age of 50 – when absorption of certain nutrients starts to decline. One of the most important factors in selecting a multivitamin is your age. This is especially vital for children, who need different levels of ingredients at different stages of growth, and for older adults as your need for many vitamins and minerals increases from middle-age onwards. This is partly because your metabolism needs more to function at the same efficiency as in your youth, and partly because of reduced production of stomach acids and intestinal juices. Known as hypochlorhydria, this slows the absorption of certain nutrients, especially B vitamins and calcium. At the same time, you make four times less vitamin D in your skin by the time you are in your 60s, than you did in your 220s. You will usually benefit from a supplement providing lower levels of iron, however, as excess appears to be detrimental to long-term good health. Ensure your chosen supplement is made to pharmaceutical standards to ensure the product is checked at every stage of production for purity and consistency of dose. In the UK, compliance with GMP regulations is assessed by the MHRA (Medicines and Healthcare products Regulatory Agency). In the US, the Food and Drug Administration (FDA) oversees compliance with regulations relating to the Dietary Supplement Current Good Manufacturing Practices (CGMPs) for quality control. Either check the manufacturer’s website for a GMP statement or Google the manufacturer’s name plus the term ‘GMP’ or ‘Good Manufacturing Practice’. These standards ensure that every stage of production is documented, all raw materials are tested to confirm their identity and purity, and that finished products are tested to ensure they contain the right amounts of each ingredient. Most little-known, value ranges are not produced to GMP standards as these processes significantly increase manufacturing costs. Look at the labels to see how each supplement compares. The level of vitamins and minerals present in each supplement is described in terms of how they contribute to your daily needs. In the US, labels show the percentage of the Daily Value (DV) provided, while in the EU the term used is the Nutrient Reference Value (NRV). These values are set in an attempt to define the needs of almost all the adult population although different criteria are used in different countries. The best supplements will provide micronutrients in the most bioavailable form. Vitamin E is most active in the natural, d-alpha tocopheryl form, rather than as the synthetic form, dl-alpha tocopheryl. Similarly, vitamin D is best absorbed as vitamin D3 (cholecalciferol) which is 20% – 40% more effective in maintaining your blood vitamin D levels than the vitamin D2 (ergocalciferol) form. Minerals that are chelated with amino acids are also better absorbed, although these tend to be more expensive and you need a greater amount to obtain the same quantity of elemental mineral (as the amino acid part is relatively heavy). As well as ingredients that are present, those that are absent are just as important. For example, are you looking for a supplement that is designed as vegetarian or vegan friendly, or which is gluten, yeast, lactose or dairy free? Is it free from added sugar or artificial sweeteners? This may not matter to you, but many people prefer to avoid aspartame, for example, and to avoid sugar in children’s chewable multivitamins to protect their teeth. Are the tablets/capsules foil-sealed for freshness? When buying more than a few month’s worth of tablets/capsules at a time, this will retain the nutritional quality of the vitamins for longer, by reducing deterioration through contact with air. Finally, check the use by date. Supplements that are nearing the end of their shelf life typically contain lower levels of vitamins due to their natural degradation. Manufacturers add an ‘overage’ to ensure their stated levels are still present by the time the product expires. Once the use-by-date is past, you are better off ditching the product and replacing it. A children’s formula will usually provide around 50% to 70% of the daily vitamins needed by children aged 3 to 12. Only give supplements to children who are old enough to chew properly to avoid choking. A basic adult multivitamin formula will provide the most important vitamins (A, B group, C, D, E, folic acid) plus key minerals such as copper, iodine, manganese and zinc, at up to 100% of the recommended daily amount (DV/NRV). Calcium and magnesium are usually present in lower quantities to avoid creating a one-a-day pill the size of a toy car. A complete A to Z formula will typically include all the important micronutrients, including vitamin K, selenium, boron, chromium and molybdenum. These are often too large to create a single tablet or capsule, and the recommended dose may be two or more a day. Some are specifically aimed at men, and some at women. An enhanced multivitamin formula usually combine boosted amounts of certain vitamins and minerals with additional ingredients such as probiotic bacteria (to aid digestion), bioflavonoids (as antioxidants and to boost absorption) or herbal extracts (eg ginseng, ginkgo). These top-line formulas tend to cost more as they include more expensive ingredients, such as chelated minerals, or food-state ingredients that are better absorbed and used in the body – a factor known as bioavailability. Targeted multivitamin formulas are designed to meet a particular health need, such as overcoming tiredness, boosting energy, helping to lower blood pressure, or to support heart function. These tend to lack other vitamins and minerals that do not contribute to the stated health problem they are designed to meet. People who follow a plant-based diet may sometimes find it difficult (although not impossible) to obtain particular nutrients from their food, such as vitamin B12, zinc and iron. Ingredients for vegetarian and vegan multivitamins are sourced from mineral salts, plant extracts, algae, yeasts and from bacterial fermentation. During pregnancy and breastfeeding, the need for many vitamins and minerals increases. At the same time, your appetite may be reduced by nausea and feelings of exhaustion and bloating during the early weeks. Good nutrition with optimal intakes of vitamins and minerals is vital to help nourish the growing baby whose cells are dividing rapidly. Good supplies of folic acid are especially important to help reduce the risk of certain abnormalities known as neural tube defects. Folic acid is best started before you try to conceive and is included in preconceptual supplements that are designed to help boost fertility. Multivitamins designed for use during pregnancy will also include folic acid and, if they include vitamin A, this will be in the form of betacarotene or mixed carotenoids, rather than in the retinol form (excess of which has been linked with certain developmental problems). The long-chain omega-3 essential fatty acid, DHA, is important for the baby’s developing brain. This is also included in many pregnancy supplements. Avoid omega-3 fish oils not designed for pregnancy, as these may contain too much of another essential fatty acid, EPA, which is less beneficial during pregnancy due to its blood thinning action. Similarly, avoid cod liver oil (and other liver products) during pregnancy as the retinol vitamin A they contain is best avoided during pregnancy unless medically indicated for a proven deficiency. Vitabiotics’ Pregnacare is the supplement I took throughout both my pregnancies – including one with twins. They provide 19 vitamins and minerals, including recommended amounts of folic acid and boosted levels of vitamin D, B vitamins, iron and zinc. Pregnacare provides vitamin A in the form of mixed carotenoids. Multivitamins aimed at people aged 50+ typically provide 150% to 200% of the RDA/NRV for key nutrients, especially B vitamins to account for reduced intestinal absorption. They often contain additional beneficial ingredients such as antioxidant bioflavonoids or herbal extracts, such as ginkgo, that offer age-related benefits. These formulas also tend to contain less iron. Menopause multivitamins are formulated for women going through the ‘change of life’ and tend to focus on providing bone-friendly nutrients such as calcium, magnesium, vitamin K and boron, plus soy isoflavones which provide a useful plant hormone boost. Multivitamins designed for people aged 70+ are becoming increasingly popular. These multivitamins typically offers 200% to 300% of the key nutrients which you absorb less efficiently in later life. These multivitamins tend to provide more vitamin D, B vitamins, and ingredients such as antioxidants such as alpha lipoic acid, l-carnitine or coenzyme Q10 that are beneficial for ageing cells. Some multivitamins for the over 70s also contain additional herbal ingredients in small amounts, such as Siberian ginseng for energy and immunity, or Ginkgo biloba extracts to aid memory. One of the nicest ways to take supplements is as tasty, chewable pastilles, gummies or tablets, which give you something to look forward to every day. While chewable multivitamins are likely to contain a small amount of sugar, or a sweetener such as xylitol to make them palatable, they are rapidly growing in popularity. High intakes of certain vitamins and minerals are just as harmful as not enough. Nutritional scientists have identified tolerable upper safe levels (USLs or ULs) for long-term intakes of many vitamins and minerals. As with the recommended daily amounts, these differ slightly from country to country. Mega-doses are best avoided except under the advice of a nutritional therapist or healthcare professional to treat a proven, severe nutritional deficiency. Do not exceed recommended doses. If you are pregnant or breast-feeding, only take supplements designed for use at these times, as excess vitamin A (including that found in cod liver oil) may be harmful. Do you take a multivitamin and mineral supplement? Which brand did you select and how did you decide on it? Was it the price, because it was produced by a trusted manufacturer, because someone recommended it, or because it targeted your particular needs? Do leave a comment below as I’m interested to know your thoughts. My mother in law is 88 years of age,and my father in law 93. She has dementia. At the moment they both have severe colds, and my mum in law is not eating much. I wondered if Healthspan Multivitality 70+ would be the best supplement for them to take at this time. I would be most grateful for any advice. I am age attained 60 years and take a cod liver oil capsule (1000mg) and a vitamin C soluble tablet (1000mg) once a day – both Aldi brand. I am concerned at their cheapness (hence effectiveness) and wondered whether I would be better off taking a better quality daily multi-vitamin tablet instead. What course of action would you recommend? Dr Brewer, thank you very much for your reply. I will get some Multivitality 70+ as you suggest. Reading some of the other excellent posts, perhaps I should also have added that I recently, both within the last 6 weeks had a TURP procedure and a prostate biopsy which had a good result and also bunion and foot surgery meaning I can’t put any weight on my right foot for around 8 weeks. Are there also any other supplements you might recommend to speed up the healing process for my foot? Hi Dr Brewer. I am a mid 50’s male and have had a total colectomy for over 30 years plus bi-lateral hip replacements. What do you think of the Boots A-z vitamin supplements and Focival? I am also a type 2 diabetic on tablets and been on warfarin for over 25 years. Hi, I hope you can help. I am looking for a high quality multivitamin with iron. I am 48 years old. I have a B12 deficiency which I receive B12 injections every 3 months. I have chronic fatigue which is ment to improve with the injections but I am not noticing much difference. My iron level is on the low side and my nurse has suggested taking a multivitamin with iron to see if this helps improve my energy levels. There is so many different products. I assume the cheaper ones will not provide enough of the vitamin. Can you suggest something I can buy in UK. I am 33 years old and the last 6 months have suffered terribly with PMS before and after my monthly cycle, almost like I don’t get a break from the symptoms of PMS. I have been advised to try wellwoman vitamins which include evening primrose and Starflower oil to help relieve symptoms. Can you advise me if these are a good choice to start taking? I have also been told that they contain alot of synthetic substance, I don’t think this is correct but can you advise me? Hello Dr Brewer. As a 71year old woman I am thinking of taking a multivitamin supplement such as Healthspan’s Mutivitality 70 plus, mainly because as a fibromyalgia sufferer I have gradually lost my appetite for main meals and very much like your previous correspondent I tend to have porridge, toast and sandwiches with just the occasional stab at a cooked meal. It appears to be common in the fibro community. My question is – as I already take a number of supplements to address the symptoms of the fibro, i.e. vitamins B12 and D3 in high strengths, as well as magnesium, malic acid and turmeric, plus calcium/d3 on prescription (osteopinia) would I then be in danger of overdosing on any of these? Hi Melanie, Is there a reason why your doctor has recommended them? Do you need/choose to follow a restricted diet, or do you have symptoms that might be due to a vitamin and mineral deficiency, or which might respond to certain supplements (such as high blood pressure)? men below 50age & above 50age. Also for women. Can you please suggest me some good brands ? my brother has classical hodgkin lymphoma, I read that salvestrol platinum pills + omega 3 + A-Z multivitamins can be good plan for him, I would like to ask you for advice , please , what do you think can be good for him to take ? Such a Great article. Do you have any recommendations on a multivitamin but in a desolvable/Effervescent format? I’m a cancer survivor and my specialist has recommend I take a multivitamin on a daily basis but I struggle with tablets. Because I have had chemo and radiotherapy when I was treated I’m struggling with fatigue and also need to get my energy levels up. I have only just been diagnosed as clear but had some very harsh treatment where I lost quite a lot of weight and my fitness deteriorated so looking for something to get me out and about again and shake this fatigue off. I’m 42 years old if that helps. What about vitamins for adults who do strength trainings and crossfit? I’m always on the lookout for supplements to improve brain health and reduce fatigue! Would these also be effective in adults? Are you sponsored by these companies; as you are paid to put them here in this article – ?! Drinking the supplement which goes directly to the stomach makes sure you absorb all that you need rather than a pill that ends up as mostly urine! I just wondered – do you have any evidence that Boots ‘A-Z Complete Vitamins & Minerals’ are significantly less beneficial than Centrum and Multibionta? (The Boots tablets contain 100% of the NRV for all vitamins apart from vitamin A (50%) and for six6 out of ten minerals.) Im asking because they’re far cheaper! I have bought quite a few supplements recently to help my son (age 13) and myself as we both have Chronic Fatigue Syndrome. It has been hard finding supplements my son can tolerate (such as di-ribose made him feel nauseous), a multivitamin (biocare) had a horrible smell which he hated, some tablets (such as the Co-enzyme Q10) he couldn’t swallow and for NAC (we tried PharmaNAC as after research it seemed the most effective) he didn’t like it being effervescent as again it made him feel unwell. Do you have a recommendation for a Co-Q10 that would be in liquid form or chewing? And any recommendations for how to take NAC so that it is still in a useful form? Hi Sarah. I’m 37 years old and just been diagnosed with osteoarthritis of the spine. My GP has told be an also anemic and have a vitamin D and calcium deficiency. I’m looking at multivitamins But to be honest I’m at a complete lose! I have no idea what I should be taking. Oh and I’m also due to have an operation to have my gall bladder removed, I’m not sure if that makes a difference to what multivitamin I should or should not take. Hi Sarah, Thank you for a very detailed article, I have a teenage son has lot of allergies from pollen to nuts. And is asthmatic. He is always sneezing , Basically I have changed everything in my house and is on all medication. I was wondering if there is any vitamin you recommend that could help with his allergies. Also I am in early fifties and vegetarian,I feel very tired I was wondering if Veganicity multi vitamin good enough. This is Manish chawla from INDIA. I have started taking multivitamin/minerals tabs just about 10 days back. I have started losing weight since day3 of taking these tabs.Is that normal and why does this happen.I am actually worried that whether this is some kind of negative effect on my body. I am using NUTRILITE DAILY.What is your feedback and rating for NUTRILITE DAILY about its quality and effectiveness. After i have started taking these tabs i frequently feel hungry every 2-3 hours .Altough i eat a good breakfast at 10 am with 2 boiled eggs+peanut butter toast+1 chapatui still i ffel hungryafter2-3 hrs.Then i have nuts at around 1pm(5 almonds+cashewnuts and other nuts).However i again feel hungry at around 3 pm.Is this normal bcoz before starting these tabs i used to eat only 3 normal VEG meals. I HAVE BEEN GOING FOR MORNING JOG REGULARLY FOR THE LAST 2 YEARS. To guage the effects of these tablets on the body,initially how long do you think one must take these tabs ie 15 daysor 20 days or 1 month. Is it true that to absorb MACRONUTRIENTS you need MICRONUTRIENTS. Waiting for your suugestion and advice. Hi Manish, If you have not changed anything else in your diet then you would not expect to lose weight by taking a multivitamin and mineral supplement. Have you cut back on eating? 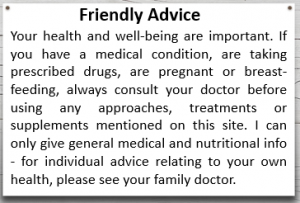 If weight loss continues, do seek advice from your doctor. No Sarah i havent cut back on eating. BUT yes i did make a change in my eating habits ie before starting these tabs i used to take threee full meals ie Breafst then lunch after about 5 hrs and then dinner after 4 hrs from Lunch. Also i would admit that i was overweight considering my age and height.My weight was almost 90 kgs which now after about 15 days of starting tabs must be 86-87 kg. I have read that due to these tabs your metabolism gets activated and you may loose some addational weight.Is that true. 1)I am using NUTRILITE DAILY.What is your feedback and rating for NUTRILITE DAILY about its quality and effectiveness. 2)To to able to take a decision ehether the effects of these tablets on the body are positive or not,initially how long do you think one must take these tabs ie 15 daysor 20 days or 1 month ie what is the minimum time required for these tabs to actually bring some changes in the body which can be felt. 3)Is it true that to absorb MACRONUTRIENTS you need MICRONUTRIENTS. Sorry Sarah i forgot tom mention the change in my eating habit. When i started taking these tabs alongwith it i also started taking short meals instead of 3 full meals. I started having breakfst at 10 am then a small cup of nuts at 1 pm in office then 2 chapatis and vegetable at 3pm then boiled chickpeas at 6pm and finally 2 chapatis with vegetable at dinner at 9 pm. I would also like to mention that i can makeout that there has been a reduction on my bellyfat since my belly has become somewhat flat after i started taking these tabs and nuts. Do you eat any fruit or meats? Unleavened bread (eg chapati) can bind minerals to reduce absorption and bioavailability. Hi Manish, If you have cut back on food intake to lose weight then your approach is clearly working. It’s definitely a good idea to take a multivitamin when eating less to avoid vitamin and mineral deficiencies. I was not previously familiar with Nutrilite Daily, but it appears to provide useful amounts of 22 key micronutrients. Taking a multivit is often a leap of faith – if you have symptoms such as tiredness, lethargy, poor immunity etc it can take a while to correct these and you may not initially feel much different. I usually suggest 3 months as a good trial period. To absorb and extract energy from macronutrients and use them to make new building blocks you do need micronutrients. Some macronutrients can affect the bioavailability of vitamins and minerals however. I have read and heard that a multivitamin pill should be taken with a meal preferably breakfast. Any specific reason for that. In the morning after getting up and just before i go for my morning jog ,is it advisable to take the multivitamin pill then. Vitamin and mineral supplements are usually best taken immediately after food (just four bites of food or a glass of juice will do). If you have not eaten for more than 20 minutes, don’t take your supplements. Wait until you have a snack/juice and take them then. If taken on an empty stomach, some can make you feel sick or cause indigestion. Wash supplements down with water or orange juice. Don’t take them with coffee or tea, as these may interfere with absorption. Fat soluble substances (eg co-enzyme Q10, evening primrose oil, fish oils, vitamins A, D, E, K) should ideally be taken with food containing some fat (eg milk).Where taking two or more capsules of the same preparation a day, spread these out over the day, if possible, to maximise absorption and obtain more even blood levels. If you take a one-a-day vitamin and mineral supplement, it is usually best taken after your evening meal rather than with breakfast. This is because repair processes and mineral movements in your body are greatest at night when growth hormone is secreted. A day’s dose is better taken at the time you are most likely to remember, however. Don’t feel you have to follow any strict regime if you find difficulty remembering to take supplements at a certain time, or if they do not fit in with your particular lifestyle. i have been taking the pill for the last 15 days alongwith breakfast but if taking it just before morning jog has any addational advantages in terms of absorbtion and digestion then i would definately love to do that. Exercise slows absorption from the gut as blood is diverted away to the muscles, so best to continue taking your multivit wiht breakfast. My wife and I turned to eating a plant based diet for the past 6months now. Yes, it was a challenge to cut out the meat and chicken, but for personal reasons, we feel it’s the right thing to do. Anyway, we also, don’t take in milk that much and rather opt for almond or coconut milk as substitute. My question here, is the ‘Multivitality for Vegs” ideal for us to take or should we try this in conjunction with something else. Around 3 o clock in the afternoon, we feel run down.We really want something to help us survive the day. Thanks for reading our request. Helo. This is a very informative article. I have been vegan for almost ten years and over that time I had to take many supplements to supplement my vitamin and mineral levels. I purposely avoided taking a multivitamin because I thought that they were useless compared to a supplement of a single vitamin. I am thinking of switching to a strong multivitamin pill instead. Can you please tell me is Healthspans MultiVitality for vegetarians good for vegans as well? Thank you. Hello Nikola, yes Healthspan MultiVitality for Vegetarians is also suitable for Vegans. http://www.healthspan.co.uk/products/multivitality-for-vegetarians I act as an independent nutritional consultant to Healthspan and can vouch for their commitment to quality. As I get older, my health becomes a bigger issue. I realize I am not as indestructible as I thought I was. Your site provided great insight into what I should do. Definitely increasing Vitamin D and will read labels and pick a general supplement. Centrum is well known so I’ll probably start there. Thanks for the info. Vitamins and minerals are important for the body’s natural tear and repair. I totally agree with what you are saying. However, there are some old people I know that refuses to take supplements because they believe they are unnatural and lean towards the “medicine” category. You know, some people just don’t like the idea of “taking medicine all the time”. Do you think it’s appropriate to “crush” the supplements and mix it into their food? Or do you think that will destroy the potent effects of the supplements? Some supplements can be crushed, but not all. Don’t think it’s a good idea to give supplements on the sly by mixing it into people’s food though! The only time I have agreed with this approach was with a patient who had dementia and simply wasn’t eating. Then we added a vitamin sprinkle mix to the little food they were getting. For older people who have made a conscious decision not to take them – best to respect that! Thank you so much for this fantastic article! This is something that I am very interested in as I know I definitely need vitamin supplements. I can never decide which one to get and I finally went with Centrum for Women. I am middle-aged and going through what women go through at this age. I’m feeling much more fatigue than I used to. Do you think I should stick with the Centrum or go with the One A Day Menopause Formula? Also, I know you mentioned expiry dates. I didn’t pay much attention to that, but after reading your article, I checked and I see that I have almost a full bottle which expired in 2015! It seems like such a waste to just throw it away. What do you think? Thanks so much for your help and advice in advance! Hi Anna, If you are experiencing menopausal symptoms then a supplement containing isoflavones would help – diety should always come first so eating more soy-based foods, chickpeas, sweet potatoes, flaxseeds and other source sof plant oestrogens will help, too. Supplements past their expiry dates will still contain the same mineral content, but the level of vitamins will have dropped significantly. VItamins are quite ‘delicate’ and break down – espeically if they are not individually foil-sealed in a blister pack and are exposed to air. They can also develop off flavours and discolouration as they oxidise. I would ditch them and start again. Sorry! I like your article where you stated that vitamins are a supplement to a Good diet. A lot of people eat wrong and take there vitimins thinking there ok, Wrong. I personally take only natural vitamins. Super Nutrion brand. Theres no chemicals in the manufacturing. Thank you for getting the word out to inform people the importance of choosing a good quality vitamin supplement. Hi Scott, I am not familiar with the brand you are taking but will definitely check them out. Thanks. With your vast medical knowledge I was highly engaged with all of the info that you presented in your article about the discussion of multi-vitamins. I trust you as opposed to some idiot ESPN sportscaster last year who made the uneducated statement during one of his radio shows that the vitamin industry is all a sham and that you “get all of the vitamins that you need eating hamburgers” and other junk food that he mentioned. It was my hope after listening to him that people ignored the empty-headed thoughts coming from his mind. As I am now in my late 50’s I absolutely recognize the fact that while I eat a balanced diet emphasized in your article, that in addition to that I take multi-vitamins targeted for my specific age – the Centrum Silver for men 50+ years old. I also daily take Omega-3 Fish oil as a supplement. These pills along with prescription medication were all highly recommended by my primary care physician. It’s also true as I learned back in my late 20’s and subjected to a lot of colds that overdoing some specific vitamin pills, can be harmful. I was taking extra doses of Vitamin C pills believing that it would help my immune system. Instead it led to my developing a few kidney stones, one that almost caused me to pass out after a road race. My doctor upon finding out what I was taking ordered me to stop immediately. I did pass the stones naturally but it was a painful process. You wrote the definitive article about multi-vitamins and one that should be required reading for all people interested in the subject! Hi Jeff, I hear so often that ‘you can get all you need from your food’ and while this should be true, some trace minerals simply aren’t in our food at the same level as they were just a generation ago. Vitamin C at levels of up to 1g a day is they recommended tolerable upper level for most people. But, some people have a defect in ascorbic acid or oxalate metabolism and are recurrent stone formers and should restrict daily vitamin C intakes to approximately 100 mg (as should those with renal failure). In these cases, it’s best to get vitamin C from diet alone. Unfortunately, unless there is a known family history, you may not know this applies to you until you’ve already developed a kidney stone. Not a nice experience – one of the worst pains imaginable my patients tell me. Firstly i love the design for your home page, and how easy it is to find what product you want on your site. Like the short summaries you get when you hover on the products. Very straight to the point, directing readers to go in for your best opinion and recommending them. With multivitamins this is less of an issue, but if you are taking herbal supplements or plant extracts then some people prefer organic products. Those made to GMP standards will check for the presence of unwanted chemicals so that provides a level of reassurance. Sarah this is great information for people who are not getting enough in their system to keep them healthy. I’m young and in shape and eat cleaner than most people I know. However, I still used to catch stomach viruses and colds at least a couple times a year. But since I began taking daily vitamin supplements last year I haven’t been sick once! I really believe the extra boost is keeping my immune system as well as my whole body in near perfect shape. That’s an interesting observation as even mild deficiencies of some micronutrients – especially the trace elements – can reduce immunity and the ability of white blood cells to fight infections. Research involving older people shows that those taking a multivitamin had half as many days sickness in a year, and mounted a better antibody response to vaccination. It is a leap of faith for many, however. Thanks for a thorough article on multivitamin supplements. The days of “an apple a day keeps the doctor away” are gone. I try to stay informed about supplements but still learned a lot from your post. I know a few MLM distributors who all claim their health products and supplements are better than the regular stuff you buy in a shop. Any truth in that? I’m sure some distributor’s products are fine – but ask if you are made to GMP/CGMP standard. If they don’t know what you mean then that says a lot! You also need to factor in their commission, and that of the person above them and so on. It all adds to the price – even if it is a quality product. Diet should aways come first, so spend as much as you can afford on locally grown, preferably organic produce. As a nutritional safety net a good supplement has its place and you don’t need to spend a fortune, as long as the quality is there and each dose is consistent. Dr. Sarah, thank you for introducing multivitamin supplements that suit different age groups. I am a person who always pay importance to multivitamin supplements, I feel we should never take this lightly as we cannot take as much vitamins and minerals from our food compared to supplements.I wish to know if I am having back pain after delivering my child, which supplement will help please? Hi Jenna, that will partly depend on whether or not you are breastfeeding. It’s a good idea to find out what’s causing it so do have a word with your doctor or midwife ( you may have a urinary infection for example, or . need physiotherapy, chiropractic or osteopathy to realign your pelvis. A fish oil supplement can reduce inflammation. A topical rub on treatment may be better than taking tablets – have a look at my post on topical painklling creams and gels here https://experthealthreviews.com/pain-relief-creams-gels How old is your little one? Thank you for such a informative article on vitamins-minerals and supplements, you gave some very good advice on choosing these products. I like how you recommended some of your vitamins on your website, this will help a great deal for people to narrow down which vitamins they should and wish to add to their diet. I am dairy and gluten intolerant, so I know how important it is to choose the right supplements to get the vitamin and minerals you missing from you diet. Gad you found it helpful – it’s a bit of a minefield selecting the right supplement when you’re faced with awall of brands making similar claims. Although price can be an indicator of quality, this isn’t always the case – especially when buying supplements on-line where overheads are lower. Hope my pointers are helpful. Really thorough breakdown of the different multivitamin supplements that exist in the market. I love it that you are trying to raise awareness on the topic. Many people don’t even realise that the suffer from a vitamin deficit. Especially interesting reccomendations tailor made to each individual’s situation.I will certainly consider some of your suggestions. Bravo! Thanks Antonis. I’ve yet to find a single person who gets all the vitamins and minerals they need from their diet, and see so many people with niggling symptoms as a result. Prescrbing vitamin supplements and seeing patients perk up was how I first got interested in nutrition many moons ago. One problem I have is that almost every single label you read will say made from and with the highest quality ingredients and standards. But even processed food claims that too. So how do you know, truly, that what you’re ingesting is quality? I always try to take multivitamins that aren’t tablets, but capsules. Because the tablets are compressed and stuck together with binders that inhibit digestion. The capsules open to a loose powder that is much easier to break down and digest. What do you think? Hi Sarah, Fillers, binders and excipients play a necessary role in allowing ingredients to flow through machines rather than caking, and to provide bulk so that ingredients that are measured in tiny amounts become large enough to handle â€“ 25 micrograms of vitamin D3, for example, is a mere speck that would be impossible to distrubute in a consistent, measured dose, even in capsules, without adding other ingredients. Fillers can also include calcium carbonate and vegetarian magnesium stearate which provide some nutrition in their own right. And the effects of binders can be overcome with disintegrants if a tablet needs to break down quickly. I find tablets easier to swallow than capsules, but don’t have strong opinions either way – it comes down to personal choice as long as the ingredients included are of consistent quality. Do you have a particular brand you favour? Hi Sarah. My wife was diagnosed with multiple sclerosis about 7 years ago and, rather than the NHS-prescribed DMDs, she has opted to take an individually-tailored selection of vitamins and minerals, such as B, C, D3, E, alpha-lipoic, omega 3 fish oils, calcium and a few others. I would be interested in your view on supplements for certain conditions, obviously MS included! Hi David, Until recently there wasn’t a lot of info about diet and supplements relating to MS, but the HOLISM study has shown how diet and lifestyle can dramatically improve quality of life. 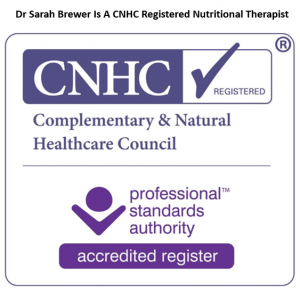 YOu can find some info on my Nutritional Medicine website, with links through the the relevant info via http://drsarahbrewer.com/diet-can-improve-multiple-sclerosis/ Hope that helps. 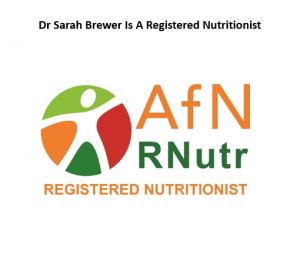 Lots of other info on there relating to nutrition too – the site will soon by moving across to teh same platform as this one but I’m hopeful the links will transfer thanks to some behind the scenes smoke and mirror stuff! Brilliant, thank you Sarah. I will take a look at your site.